Jings, crivvens, help ma boab. 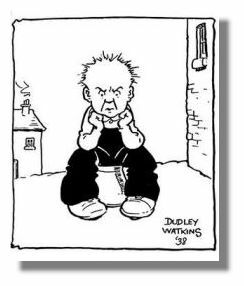 Oor Wullie's been at it again. Scotland's most famous religious education teacher inspired yet another biblical fury in Neil Lennon at New Douglas Park last night. Three red cards, one penalty awarded and another turned down, an offside goal allowed for Hamilton, a goal for Celtic disallowed. This was a 1-1 draw with attitude. Big calls all night. Sympathy with the referee for the red cards for James Forrest and Jim McCallister. Watching the highlights of the game made me wince when I saw the challenges going in. Late challenges both. The ref only gets one look and I think Collum got both calls right. I've seen a lot of these sliding, late challenges lately. Seems to me players are asking for trouble. And, yes, sometimes players do "get away with it." Doesn't make it right. Martin Canning was offside for Hamilton's goal and his run in front of Fraser Foster meant he was interfering with play. Collum could probably not tell that from his position and his assistant seemed to be standing on the wrong side of the line of players in the box rather than in line with them. Maybe this is the norm for free kicks but it meant his view of Canning was impeded. The penalty Celtic got was right and the red card that followed for Simon Mensing was justified. Celtic's disallowed goal was the right call by the assistant, the ball going out of play from the corner. On that occasion the assistant was in line with the goal line, perfectly placed to see the ball. Which leaves us with two things to ponder. Should Celtic have had another penalty? I know not, as I've not seen it and it is not included on the BBC website package. The second issue: Hamilton are bottom of the league and haven't won at home all season, Celtic are top of the league and were looking to open up a seven point gap on Rangers. Collum had a difficult evening. But Celtic's continual struggles in games like this point to problems far closer to home than a concerted campaign of action against them. Neil Lennon is seeing refereeing incompetence every week? Yes he is, we all are, whoever we manage, play for or support. But he's also seeing incompetence from his team far too often. And that buck stops with him, nobody else. > Celtic are to appeal the James Forrest red card. More appeals than Blue Peter. Hibs v Celtic on Saturday. Fourth official: Mr William Collum. Maybe it will give him and Neil Lennon a chance to put their heads together and sort out their differences. Or, you know, knock each other out. I'm a Celtic fan and a lower league referee and I thought that all three red cards we correct. However the linesman missing the off side for Hamilton's goal was a shocker. What did you think about the linesman's positioning? It looked to me like he'd taken up a position that mean he was unable to see if someone had moved offside.